To say that Clash of Clans has brought a whole legion of new mobile gamers into the fold would probably be an understatement. 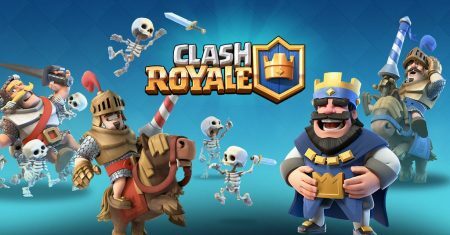 It’s done that and more, becoming so popular that it spawned its own spin-off in Clash Royale, a player vs. player card battle game that once again eschews the Windows PC and Mac computer platforms in favor of smartphones. Even though that might be a good thing for the game’s developers–Clash’s home is on mobile, after all–we can point you to a workaround that will let you bring the fast-paced excitement of Clash Royale onto the most comfortable arena of your desktop or laptop computer. Curious? Read on, for more details! Even though they feature the same themes, settings, and even characters, Clash Royale is not directly related to the goings-on in Clash of Clans. For all of the things that they share, they’re two very different games, created by two very different development teams. This is why we’re calling it a “spin-off” rather than a proper sequel; there’s no current plan to bring it back into the Clash of Clans fold, and that original title is still updating independently of Clash Royale. Whereas Clash of Clans is a real-time strategy game (RTS) that encourages player cooperation and conflict, Clash Royale has you pitted against other players almost exclusively, when you’re not training against computer controlled opponents. Though strategy is still at the heart of the gameplay, you’ll instead be building and playing with a customized deck of cards. Even the overarching objectives haven’t changed much, even though the nature of the game most certainly has. You’ll be playing cards in order to summon troops, who will then lay siege to your opponent’s towers. Organize, plan, execute, overcome–just like you would in Clash of Clans! There’s already a rather sizeable community springing up around this popular card battler, with videos and strategies being shared daily on the official community page and Twitch streamers bringing their gameplay to the masses with live viewings. Under normal circumstances, this is the only avenue that you’d be able to use your Windows PC or Mac to get in on the action, but we have a strategy of our own that’s going to help you to overcome that little obstacle. It’s often argued that a game so lightweight that it can run on Android and iOS should almost certainly have a PC and Mac port, but that wasn’t the case for Clash of Clans and it isn’t the case for Clash Royale, either. If you want to run it natively, you’ll need to hit up the Apple App Store or the Google Play Store, then download the game (free, mind you) on your mobile device. Of course, we promised a workaround, didn’t we? While we’re going to be running the game on your laptop or desktop computer, we’ll technically be running the game natively as well. We just won’t be running it on the intended hardware. The secret to our trick lies in emulation. We cover emulators fairly often here at Appamatix, such that we’ve become pretty good at picking out the best ones for certain purposes. If you’re unfamiliar with emulation, the gist of it is basically this–we’ll be using your computer’s resources in order to create a virtual environment that mimics another operating system altogether. In this case, we’ll be using Google’s Android OS. Rest assured that the process is 100% legitimate, and doesn’t run afoul of copyright law in the least. Since we’ll be using an actual copy of the Android OS to download and use a perfectly legal copy of Clash Royale, there’s not a thing to worry about. That doesn’t mean that all emulation efforts are without risk, but as long as you’re downloading your apps through legitimate means (through a source like the Google Play Store), then you’re right as rain. Below are three of our favorite emulator choices, here at Appamatix. By no means are they the only good ones that you can find online, but they’re among the best, they’re reliable, and they can be downloaded for free. Heavily marketed towards Android gamers, Bluestacks even started hosting a function for Twitch streaming, for those that want to live-stream their gameplay online. Even if that doesn’t sound up your alley, it’s a very capable emulator that won’t have any trouble running Clash Royale, or any other app that you choose to throw at it. The free version comes with third-party software advertising, but if this becomes annoying, you can circumvent it by paying a small subscription fee every month for access to Bluestacks premium. The emulator that I usually turn to is Andyroid, and though it’s not much different from Bluestacks in terms of capability, I overall prefer the aesthetic and functionality that it offers. In contrast, Andyroid is minimalistic and unintrusive, and I enjoy the management app that it keeps in your system tray, allowing you to switch settings on the fly without having to boot up the entire emulator. If you’re not in a position to install new software on your PC or Mac, then Manymo might be the right option for you. Rather than an emulator that you’ll install, it’s the only one of its kind that runs from within your web browser. It can emulate at a variety of resolutions popular among various Android devices, and manages to be quick and competent thanks to strong servers. The catch is in its price; you’ll only get 10 limited duration uses of Manymo per month if you’re choosing the free route. A $9.99 per month subscription fee will greatly expand this, but that’s a cost that can quickly add up. Therefore, I recommend Manymo as the emulator of choice only for people who don’t have the liberty to install whatever they want on their computer. If that sounds like you, then this is a great option. Once you’ve downloaded your emulator, installed it, and taken it for a test drive, all that remains is to get Clash Royale up and running! Boot up your emulator of choice and click over to the Google Play Store. You might be surprised at how greatly your new software resembles the home screen of an actual Android device, but that’s the joy of emulation; that is exactly what it’s supposed to do! Search for “Clash Royale” and it should be one of the first things that pop up in your results. Download it, allow it to install, and…you’re done! With that completed, you have access to the entire Clash Royale experience on your desktop or laptop and can proceed to enjoy the game from the comfort of a much larger display. Of course, you don’t need to stop there. We have a few additional tricks up our sleeve that can help to give you a better Clash Royale experience. After all, part of being a versatile, multi-platform gamer is knowing the ins and outs of your games, right? First off (and I recommend this for most emulated Android apps), get your Clash Royale experience started from a mobile device, if at all possible. Since it’s an app that’s meant to run natively on Android and iOS devices, you’re always going to have the best experience there, first. If you set up your player account and profile from a mobile device, and then use your emulated version of Clash Royale on the side, you’ll always be able to treat your mobile version of the game as a “hub” of sorts; the center of your Clash Royale experience. Additionally, the game was meant to be controlled from a mobile device as well. Thanks to the impressive feature sets of the above emulators, they give you the option to tether your mobile device to your computer via Bluetooth, thereby allowing you to use the touchscreen on your phone or tablet to control the game that’s being emulated. If you run into problems feeling comfortable with clicking rather than tapping, this is an area that you should check out! While it certainly isn’t “Clash of Clans 2,” Clash Royale is a great game on its own, and will give you a whole different taste of the strategy game genre than its predecessor did. If you enjoyed the art style and characters from the original game, you’re going to find a lot to enjoy here, as well! And now that you can play Clash Royale on your Windows PC or Mac, there’s nothing to stop you from partaking in this unique card battler whenever the fancy strikes you. Those looking for a little more direct competition than Clash of Clans offers (and it’s faster competition, as well) will be pleased with the game’s overall accessibility and gentle learning curve. If you’ve enjoyed our brief guide, don’t hesitate to share it! Meanwhile, if you have any questions about Clash Royale or the emulation process, leave them in the comments below!